Bryan County Genealogy Library - NEED HELP FINDING INFORMATIONABOUT Bryan county? The Bryan County Heritage Association was founded in 1982 by Olivia Barton, Clara Nash, and Lynda Massey. 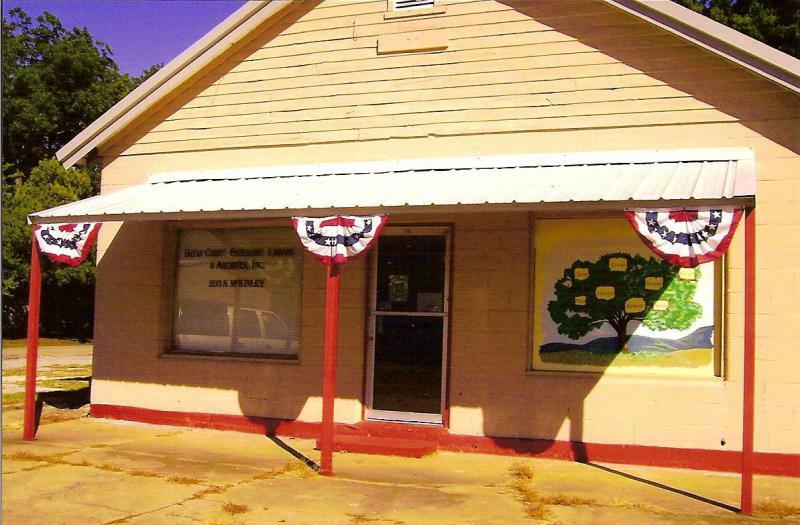 In 2004 the name changed to the Bryan County Genealogy Library & Archives, Inc. The nonprofit organization is dedicated to the preservation, publication, and acquisition of genealogical materials. The Library sponsors free seminars/workshops on various topics throughout the year to educate the beginner and the seasoned researcher. The membership consists of individuals, other genealogical societies, and libraries. The organization is supported through memberships, donations, and purchase of publications compiled by dedicated volunteers. Another new book is now available. 15 Generations of the Descendants of Ambrose Powell: Dunegan, Loftis, Traer, Moore, Jackson, Hair, and many more. We welcome all donations of genealogical/historial material on Bryan County, and beyond!